Can’t cope with customer complaints? Are they draining your technical and quality resources? Are they affecting your profitability? Don’t have time to chase? 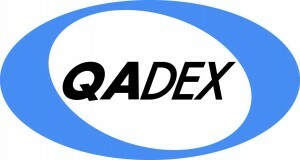 Qadex have created a workshop to help your business overcome the challenges that can be faced when dealing with customer complaints. During the workshop we will explore ways to manage complaints more efficiently and show you how to turn complaint data into business intelligence. Through this you will be able to drive complaint levels down which will in turn increase profitability for your business. Don’t waste time chasing, get on board the Managing Customer Complaints Workshop to take the hassle, stress and cost out of complaints. There are limited spaces to make sure to book quickly! A maximum of 2 delegates from your company are able to attend the workshop as spaces are limited. If you are unable to attend this date please let Rebecca Measom know at rebecca@qadex.com to ensure future workshop dates are sent through to you. If you have any queries please don’t hesitate to contact Rebecca via email or on 01509 606 306. If you do not know what is in the raw material or understand the supply chain for that raw material you may be unable to ‘risk assess’ that supply chain. Are there geopolitical or economic risks in key producing regions for ingredients that you source?